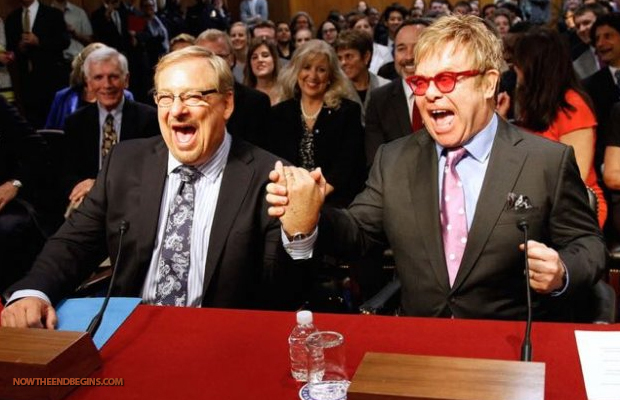 “Pope Francis is doing everything right.” – Rick Warren on Roman Catholic EWTN network. More here. Pope Francis says it’s “dangerous” & “absurd dichotomy” to believe one can have a personal direct relationship with Jesus Christ apart from the mediation of the (Catholic) church. Then guess what church has to lead the Ecumenical Movement? The Roman Catholic document “DOMINUS IESUS” (DI) was issued by then Cardinal Joseph Ratzinger, head of the Congregation for the Doctrine of the Faith at the time. 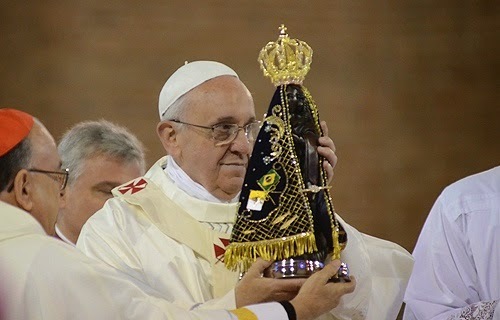 Carrying the full authority of an official Vatican decree, it declares the Roman Catholic Church (which they say in that same document is the church founded by Christ and the one true religion), to be the “Universal sacrament of salvation“ and the “instrument for the salvation of all humanity”. The ‘DI’ was “ratified and confirmed” by pope John Paul II on June 16th 2000. That which counterfeits or takes the place of Christ. If Jesus Christ says He is the only way to the Father, and the Word of God says there is no salvation apart from Him (Acts 4:12), then the Roman Catholic Church is not only contradicting the Word of God, but is also usurping the place that only belongs to Christ, and that is the spirit of Antichrist. Any religion, group, organization that point to themselves instead of Jesus Christ for salvation are operating in the spirit of Antichrist. The pope also is called the ‘vicar of Christ’ (Representative of Christ) and the ‘Holy Father’. But see what Jesus says in Matthew 23:9. “The “ultimate aim” of the ecumenical journey, “is obviously the unity of the churches in the one Church”. “This does not mean uniformity” but “unity in pluriformity”. The “Orthodox Churches should not change much in their internal structure, almost nothing in fact, if they unite themselves with Rome” Vatican Insider, Feb 23, 2015. For all the above reasons (and many others not mentioned here), we don’t consider the Catholics Church the body of Christ. There are some people that are getting saved and love Jesus that are still within that group – people the Lord is revealing Himself to – but eventually these people should be on their way out of Catholicism, like what had happened to us. Not everyone who calls himself a Christian actually is one. By their fruits you will know them. We pray for all of them so that they may know the gospel of truth and receive salvation. On Sept. 2014: Israel former president & Prime Minister Shimon Peres’ made proposal to pope Francis to set up an organization of United Religions & due to the power of religions and the Pope’s charisma, Peres would like Pope Francis to lead the proposed UN of religions!! The One World Religion was formed and it’s almost ready, they had taking many steps, one of them was signed on 2009! 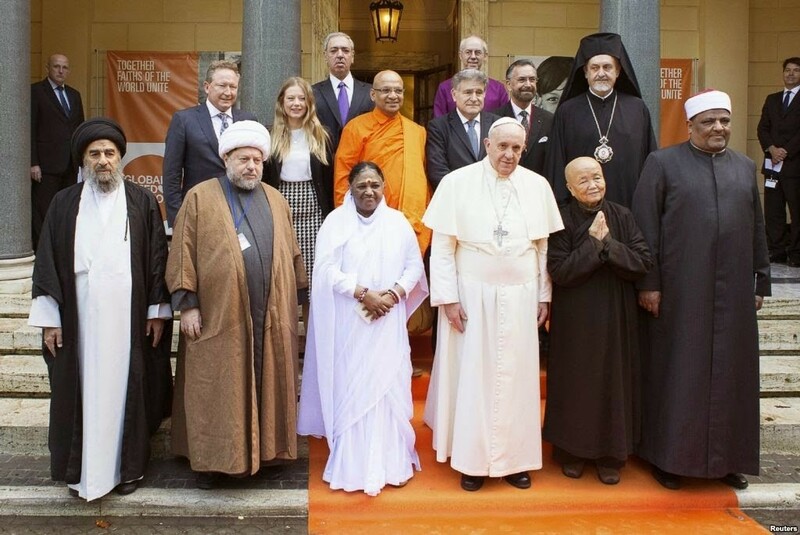 They meet every year, so everything is in place, they just need to give a public and worldwide authority to the pope over all religions, and that may happen very soon. 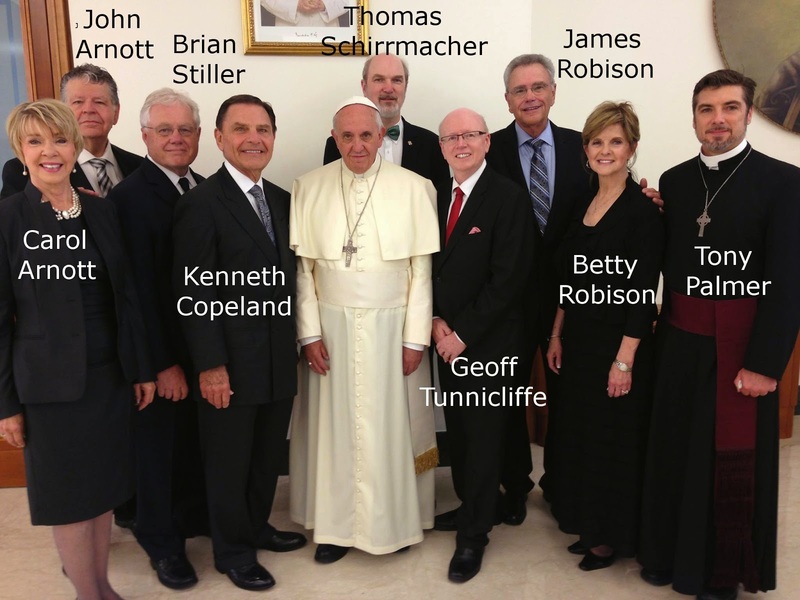 Do not be surprise brethren when more evangelicals leaders come out of the closet calling to unite with Rome. 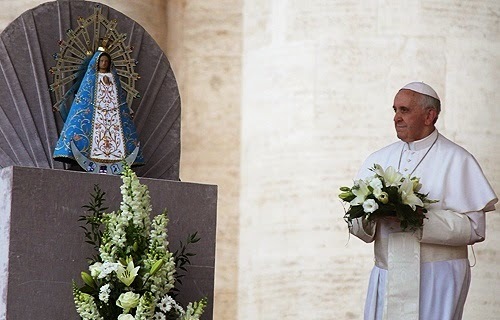 I really believe the Catholic Church and her ecumenical evangelical friends are preparing a great deception, they have been calling for some years now (more strongly since 2013) for people to pray for a ‘New Pentecost’, there is no new Pentecost in the bible, but apostasy! Some others are asking for an ‘spiritual tsunami’. It looks like they may be planning a fake revival like the one in Toronto, etc. but this time in or involving the Roman Catholic Church. Maybe among the youth? We’ll see. I think is very possible that one of the main purpose of the many past fake revivals, was to condition Christians into believing that those are legitimate movements of God, so when the same happens among the Catholics many will embrace them as part of the body of Christ. That plus the Catholic mystics promotion would help them greatly to accelerate the union of evangelical Christians and Rome. Please don’t be deceived! Pray for all of them but mainly for the true church of Jesus Christ to not be deceived. We know well that soon, Christians who don’t get into the ecumenical movement or unite with them will be called divisive, unloving, proud, narrow minded and possibly even be harassed & persecuted! Where is the Christian church sounding the alarm on this? . . .It’s being silenced by many who wrongly believe that love with out God’s Truth is Godly, or that it is always unloving to discern & warn others. Many walk under the disguise of a ‘love’ which creates a false unity. They lay aside the truth of God’s Word and compromise with false doctrines because they don’t want to be controversial. True love warns people of God about false doctrines to protect the sheep. True Godly and biblical love can be found in the ministry of the apostle Paul who never failed to warn the people whom he loved. Wherefore I take you to record this day, that I am pure (innocent) from the blood of all men. For I have not shunned to declare unto you all the counsel of God. Take heed therefore unto yourselves, and to all the flock, over the which the Holy Ghost hath made you overseers, to feed the church of God, which he hath purchased with his own blood. For I know this, that after my departing shall grievous wolves enter in among you, not sparing the flock. Also of your own selves shall men arise, speaking perverse things, to draw away disciples after them. Therefore watch, and remember, that by the space of three years I ceased not to warn every one night and day with tears. Objection is often raised even by some sound in the faith regarding the exposure of error as being entirely negative and of no real edification. … But the brethren who assume this attitude forget that a large part of the New Testament, both of the teaching of our blessed Lord Himself and the writings of the apostles, is made up of this very character of ministry—namely, showing the Satanic origin and, therefore, the unsettling results of the propagation of erroneous systems which Peter, in his second epistle, so definitely refers to as “damnable heresies.” EXPOSING ERROR: IS IT WORTHWHILE?